The Rebel Sweetheart. : Top 5 Sports to Accelerate the Weight Loss Process. Top 5 Sports to Accelerate the Weight Loss Process. Other than healthy eating, increased physical activity is another great way to lose weight. While most people like going to the gym, it can often get repetitive and boring, causing you top lose morale. So, why not engage in something you'll actually enjoy doing like sports? 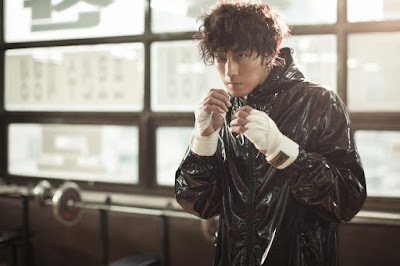 Seo Ji Sub in Always (2011). Boxing utilizes most of your body muscles, offering a fully toned body. Workouts are so intense that you can burn up to 800 calories in an hour, which makes it among the most effective sport to accelerate your weight loss process. In addition, boxing improves your muscle endurance and cardiovascular fitness, which is essential for a long-term weight loss process. Squash is a racquet sport that requires a lot of movement of your whole body to be able to hit the ball. The rallies in squash tend to be longer and the breaks between points are shorter compared to other racquet sports, making it the most cardio-demanding sport you can engage in. An hour of playing squash will melt over 700 calories. The constant running also builds up your muscle strength and endurance in the lower body. Lee Soo Hyuk in Lucky Romance (2016). Whether as a sport or a recreational activity, playing tennis is another great way to lose weight. This sport combines several intense actions that help you to strengthen your muscles and improve your cardiovascular system. Tennis helps you achieve a fully toned body by working your legs, belly, arms, buttocks, and back. If you still need convincing, look at all the tennis players, they are mostly thin with toned bodies. To begin your weight loss journey with this sport, you need the best tennis shoes, a Racquet, tennis clothes, tennis balls, and useful accessories such as sunglasses and a sweatband. Swimming is a great sport for weight loss for a number of reasons. First, it challenges your entire body, working both your lower and upper muscles. With the many swimming strokes available this sport provides different types of aerobic exercises, offering a new challenge to master each time. If you are looking for a fun activity during the summer that will help you continue your weight loss journey then start looking for a pool near you. You'll be amazed at the level of fitness you can achieve with a few daily laps in the pool. Playing volleyball involves physical activities like running and doing squats. These activities will require you to use most parts of your body, including the arms, legs, thighs, buttocks, and hands. It goes without saying that playing volleyball tones and shapes your entire body. An hour-long game of volleyball can help you burn over 300 calories, and this number goes up when you play on a much less stable ground of sand. For me, squash is the number one, just love it! 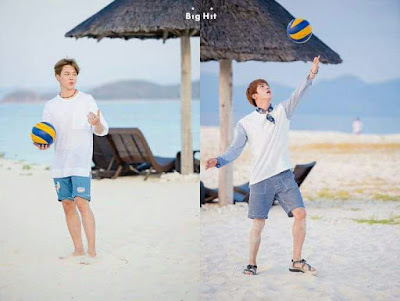 I never knew this about volleyball, although playing it on the beach is very challenging! This is such a great post. Swimming and squash can really help someone loose weight very quickly, very informative. Thanks for sharing. I heard that boxing and swimming would do this but never knew the others would. I am terrible at tennis but love volleyball. I'm a boxing fan. I had always thought that swimming toned you but didn't help you lose weight. Thanks for the information. Thank you for all the great suggestions. They get people out there and active in a fun way. Gooood tips out there~ Gonna sign up an boxing class with my boyf sooon! Thanks for the information! These are all great suggestions of high energy sports. I do like boxing but I prefer a more active class, like body combat, where you use all your muscles, not just the arms. I love to go swimming as often as possible, whether it's with the family or on my own - other than that, I'm not really very sporty! Boxing and swimming are my mains in that area especially swimming, it helps a ton! I miss swimming! Living in a city it makes finding the opportunity a little difficult, but I'd love to get back into it if I could! Swimming is a really good one! That's what my husband has been doing. It works the whole body! These are great tips! I've never heard of squash I'm gonna have to look that one up. I've played volleyball in the sand, I can see how you can lose weight. It takes a lot to keep from falling in the sand. This sounds like a really great programme! My mum just got engaged, so I'll have to get into a weight loss programme to look my best for the wedding! Swimming is such a fun one! That's what I do in the winter when it gets too cold to run outside. When I played volleyball in high school I was in great shape, so I definitely believe that! I never knew about squash though, that's really interesting. I'll have to take up one of these again, thanks for sharing! I've recently added boxing to my workout routine. It's so much fun and burns so may calories. I love it! I agree that these sports can really help us to loss weight. I've tried boxing before and it was really effective. Volleyball is one of my favorite sports to play when I was in grade school up until now and it really helps me to lose my weights a lot. I always love to play volleyball I was playing that since grade school and it really helps me to keep my body in a perfect shape. boxing and swimming are two activities I know always burn a lot of calories really well. I really need to start taking my health more seriously. These sports sound amazing and like they would work up a sweat! Exercise is a great way to stay healthy and fit in general. I enjoy sports that require running. This is awesome! Ive tried boxing personally and it is defintiely helpful! Have to try tennis as well because i had no idea it could also help!! Ive noticed that diet is most important as well, so reducing carbs at night works wonders! How I wish I was physically fit and had enough time for this... hopefully one day, its never late! I definitely love swimming and along with that I would also add Running to the list. Running slow and long distance will burn the fat fast. Great list.